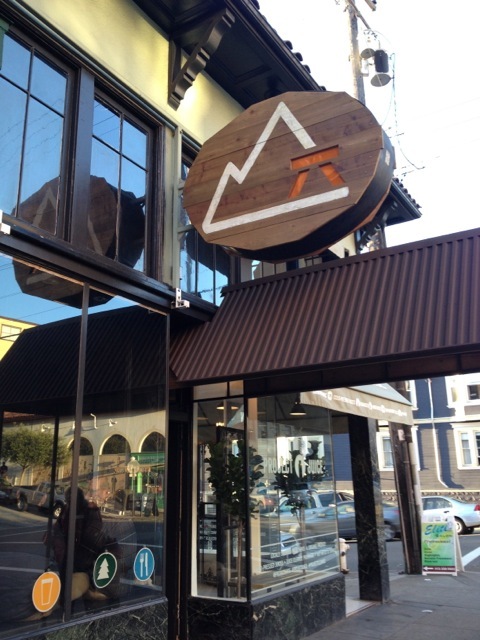 Russian Hill’s Woods Polk Station is an offshoot of the popular Cervecería de MateVeza in the Mission District and is of similar diminutive size. It looks more like a wine bar, which is actually what previously occupied this space. It has an outdoor and rather, well, woodsy feeling. Beers are poured from eight taps. Some are house beers made at the 18th St brewpub and there are guest beers. There is a small, but interesting bottle list (unlike at Cervecería, bottles must be consumed on-premise). Empanadas from El Porteño are available to eat in. There are eight seats at the bar and another 18 or so around three tables. This is a very neighborhood-oriented bar and seems to serve mostly denizens of the Russian Hill neighborhood. Extras: A fine bottle shop is located nearby, The Jug Shop on Pacific St. at Polk. Exit BART through the exit labeled A1. The bus stop for the #19 Polk Bus will be behind the stairway on Market St. Board the bus ($2.00 exact change or Clipper Card). Get off at Green St. Cross Polk St. at Green. Turn left and you’ll see Woods Polk Station. Official Civic Center Station and connecting transit info.